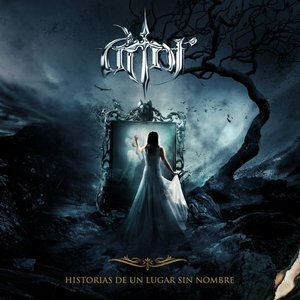 Altar is a power metal band hailing from Costa Rica whose career spans many years but with relatively little output. Un Lugar Sin Nombre (English: “A Place without a Name”) is their sophomore full-length album coming six years after their debut. As far as power metal goes, Altar have a wider range than most bands in that some tracks are more aggressive and raw than most, where the sound more closely aligns with the USPM scene from the eighties than it does with any of the European bands that have come and gone aping the Nightfall-era Blind Guardian. Then you have songs with the more typical European sound, complete with the heavy emphasis on synthesizers and keyboards. And then you have a couple slow ballads on top of that, along with a couple longer progressive Dream Theater-like compositions. So reviewing this album is more like reviewing a collection of songs as opposed to reviewing an album as a whole. The opening track is some serious heavy metal with original riffing and an outstanding bass part to complement the rhythm guitar. If only the rest of the album were like this. Unfortunately, right after the stellar opening track are a couple slow ballads, whose solos – as good as they are – simply don’t make up for the mediocre songs. Not only that, but the vocals are ever-so-slightly off in places, and it sounds like the guitars are out of tune as well. By the time the fifth track comes around, the aggressive sound is back with some thrashier vocals, and even though this song is better than the previous ones, it still suffers slightly from poor execution. “Día Cero” is dreamy and psychedelic, but with enough hard-hitting kick drums to keep it well out of the category of a ballad. Still, in parts it sounds more like a Radiohead B-side than a metal song. From a musical standpoint, it’s a good song, but quite a bit of a changeup from everything before it. The following track, “Rey Dinero”, incorporates the full choir sound to add yet another dimension previously unexplored on the album. And even if it is a bit drawn out, it stands on its own musically. The closing track, “Tributo al Rey”, is a decent return to form with a nice heavy opening a plenty of low-end to pack a solid punch. The instruments and vocals are nice and in-tune as well, so this is definitely a high note to end the album on. The guitar work is actually pretty near flawless on this one, with a nice slow interlude about two-thirds of the way through, that serves as a perfect segue to the final three minutes where everything ramps up substantially to an epic and thundering coda. Basically, the opening and ending tracks serve as excellent bookends to a lot of otherwise mediocre stuff. I really want to like this album, but the final product is so hard on the ears. There are so many good ideas that are simply poorly executed. I feel like more time and diligence in the studio could have taken this album up several notches from where it is. I could easily see myself going back just to listen to those opening and closing tracks many more times. But I don’t think I’m ever going to hit the middle ones again. Compositionally and instrumentally, these guys have what it takes to make a really strong album; they just didn’t pull it off here.